Bonnie Perry discussing go/no go decisions. Paddling in Spite of the Ordinary follows three women kayakers from Chicago. The documentary seeks to reveal stories about women leading seemingly ordinary lives that stretch beyond the everyday, break boundaries, and dovetail/funnel their paddling accomplishments back into the community and beyond. The film will be released as a triptych of segments in 2016. Sarah Hartman crossed Lake Michigan by sea kayak and completed a solo expedition on the Great Slave Lake in the Northwest Territories of Canada. Sarah runs Midwest Paddlesports Adventures and and volunteers to do kayak coaching with various community groups including Team River Runner. Team River Runner is a volunteer run organization that provides paddling experiences for vets. Andrea Knepper runs Chicago Adventure Therapy that works with empowering underserved urban youth through adventure sports programs and collaborative kayak programs in Chicago and the The Gitchi Gumee Project. Each summer during the Gitchi Gumee Project, Andrea brings Chicago urban youth to the Great Lakes Sea Kayak Symposium for four days of kayak lessons, on water adventures, and base camping. 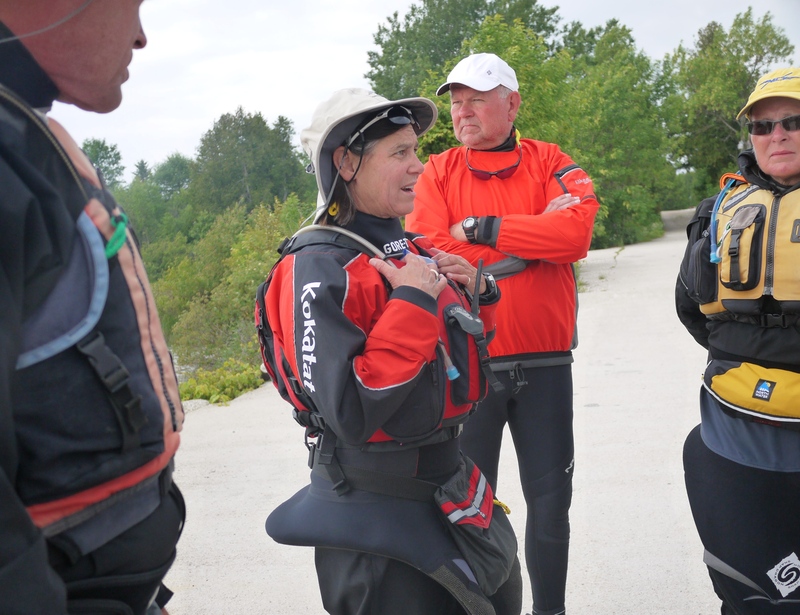 Bonnie Perry is an American Canoe Association (ACA) Level 4 Instructor Trainer. In the British Canoe Union (BCU), she is a Level 3 Sea Coach, a 3 Star Assessor and a 5 Star sea paddler. Bonnie is UKCC Level 3 Trainee Coach, a 3 star canoe paddler and Level 2 Paddle Canada Instructor as well as a Wilderness First Responder. She has trained with Gordon Brown at Skyak Adventures on the Isle of Skye and Rowland Woollven in Oban on the West Coast of Scotland. When not paddling, Bonnie is the Rector/Senior Pastor at All Saints’ Episcopal Church in Chicago, Illinois.